At least five people died Thursday after a man opened fire in a building that houses the Capital Gazette in Annapolis, Maryland. Here's what we know of the victims so far. At least five people were killed Thursday at a local newspaper when a gunman stormed the building and opened fire. Four people were killed inside the Capital Gazette office, and a fifth person, a woman, was evacuated from the scene but died at the hospital. Two others were injured. The suspect is in custody and officials called it a "targeted attack." Rob Hiaasen with his wife, Maria. Rob Hiaasen, 59, was a columnist, editor, and journalism instructor. His brother, Carl Hiaasen, a novelist who also writes a column for the Miami Herald, confirmed his death in a tribute on Facebook. "I am devastated and heartsick to confirm the loss of my wonderful brother Rob today in the mass shooting in the newsroom at the Annapolis Capital Gazette," his brother wrote. "Rob was an editor and columnist at the paper, and one of the most gentle and funny people I've ever known. He spent his whole gifted career as a journalist, and he believed profoundly in the craft and mission of serving the public's right to know the news. "We called him Big Rob because he was so tall, but it was his remarkable heart and humor that made him larger than all of us." The Baltimore Sun, which owns the Capital Gazette, also confirmed his death in a story about his life and contributions to the company, describing him as a writer who "was drawn to quirky stories, and had a unique way of telling them, with wry asides and internal and imagined dialogues." A father of three, Rob Hiaasen had celebrated his 33rd anniversary with his wife, Maria, one week ago. Originally from Fort Lauderdale, Florida, Hiaasen earned his degree at the University of Florida. Throughout his career, he earned many awards and fellowships, starting at the Palm Beach Post, where he was awarded first place in general feature writing by the American Association of Sunday and Features Editors for a 1992 story about the death of a boy, according to the Baltimore Sun. He joined the Baltimore Sun as a feature writer in 1992 and moved to the Capital Gazette in 2010. He also taught at the University of Maryland's college of journalism. In 2004, he was a Knight Journalism Fellow at Stanford University. Just this year, the Maryland, Delaware, District of Columbia Press Association awarded him first place in a feature column category for a piece about realizing as an adult that the Fort Lauderdale beach that he spent his childhood playing at was segregated, according to the Baltimore Sun. As news of his death started to spread, former colleagues, friends, and students started posting tributes to him. "He called me this morning asking about a headline clarification," Capital Gazette reporter Chase Cook wrote on Twitter. "He was an amazing editor who made me a better reporter." Joe Bonikowski wrote on Facebook that he worked with Hiaasen at the Palm Beach Post and described him as an "incredible journalist." "Rob was a great husband, great dad, and an incredible journalist," wrote Bonikowski. "He greatly enhanced the lives of everyone with whom he came in contact. His colleagues' hearts are heavy, and we ache for his wife, Maria, their three kids and the rest of his family. Our hearts also go out to the others who lost their lives or were wounded in the name of Free Speech. Their lives will not be lost in vain." A Baltimore Sun reporter, Pamela Wood, who used to work at the Capital, shared that "Rob was great." Rebecca Smith, 34, was a mother, fiancée, and a sales and advertising coordinator for the newspaper. Capital Gazette advertising director Marty Padden told the Baltimore Sun that Smith was a recent hire having just started in Novemeber, but she had already proved herself. On Facebook, Smith described her daughter as "the best kid ever." She also said she was an "endo warrior," referring to endometriosis, a painful disorder in which tissue that lines the uterus grows outside it, and shared photos to support endometriosis awareness. Her fiancé, who went by DJay Poling on Facebook, wrote shortly after reports of the shooting: "I have no updates on Rebecca Smith but we are on the way. I need prayers and we will update everyone once we know something." After news of her death was reported, tributes from friends were posted online. One friend described her as "one of the strongest women I know." Another friend called her "a wonderful and loving person." 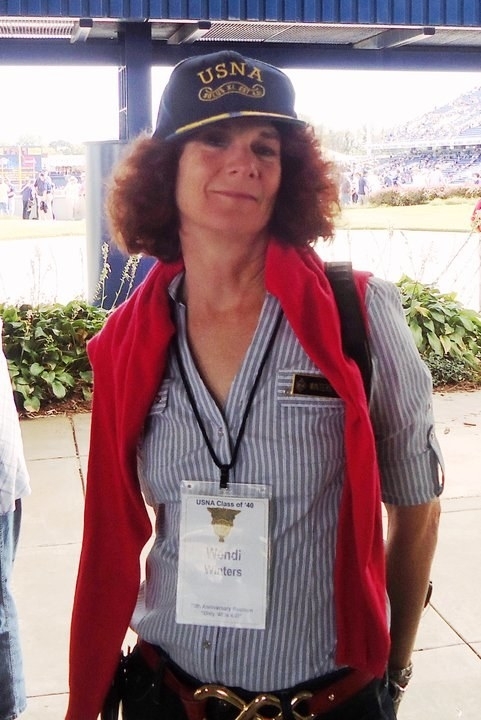 Wendi Winters, 65, was a mother of four, editor, and community news reporter at the Capital. Winters was originally from New York City and started her career in fashion and public relations after graduating from Virginia Commonwealth University with a BFA in fashion design. Two decades ago, she moved with her family to Maryland and started as a freelancer for the Annapolis newspaper. Winters joined the Capital Gazette full-time in 2013 and covered a range of local topics, writing the Home of the Week, Teen of the Week, and Around Broadneck features. Christine Colli McCallister wrote on Facebook that her niece was "safe" but had been at the Capital for an interview with Winters for the Teen of the Week feature "about 10 minutes before this happened." Winters also started and organized the annual PR Bazaar, which was usually a two-day event for people to meet and learn more about members of the media. Melissa Lauren wrote on Facebook that she got close to Winters through the events. "You were a brilliant woman, storyteller, and friend," wrote Lauren. "Your community loves you. Thanks for shining your light on our home of Annapolis and telling all the stories. It was a privilege to know you." A fellow Maryland writer, Dylan Roche, posted on Facebook that Winters was "a blessing" to the community. "Your passion for people and storytelling were contagious, and you were an inspiration to so many of us in the Annapolis media circle," wrote Roche. "You never hesitated to give me advice, guidance, or news tips — even though I worked for another publication." Casey Christine Kohler shared that she had known Winters "since I was in elementary school." "She was one of my Girl Scout leaders and interviewed me my senior year of high school for being Teen of the Week," wrote Kohler. "Wendi was an amazing woman, mother, leader, and journalist. She will surely be missed." Gerald Fischman, 61, had worked at the Capital Gazette for 26 years, where he was an insightful editorial writer. He was described as quirky and witty by colleagues who spoke to the Baltimore Sun. Brian Henley, a retired editor, described him as having an "encyclopedia knowledge of everything." He was a 1979 graduate of the University of Maryland’s journalism school and won awards almost every year for his writing. Just this year, he won awards from the Maryland, Delaware, DC Press Association for his editorials about a noose left at a middle school and about a local official's effort to censor speaking at a council meeting, according to the Washington Post. 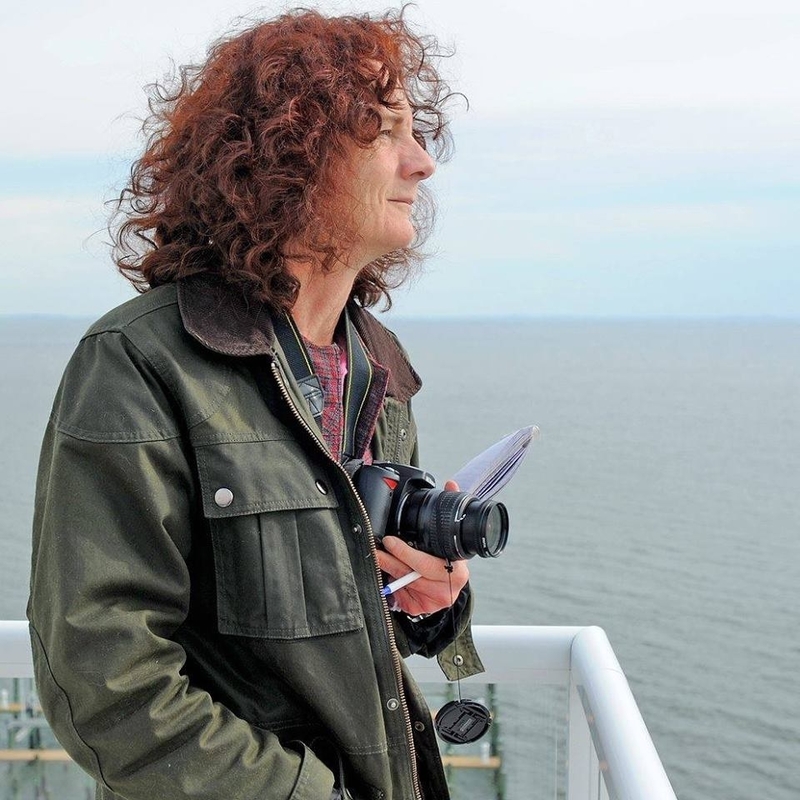 "He had a much louder voice in his writing than he did in person," Elisha Sauers, a reporter at the Virginian-Pilot who used to work with Fischman at the Capital Gazette, told the Post. "He was so shy and avoided eye contact, but he was a lot more confident in his writing voice." He was also known for being at the newsroom at odd hours — often all through the night. He would often leave his editorials printed out on his editor's desk with Post-It notes asking them to check his facts. Fischman told the newsroom he had recently married a Mongolian opera singer he met online. Maryland Gazette columnist Amy Badger Laque tweeted that she had "just talked with him Monday." "A kind soul," Badger said. "Praying for his family." A former Capital Gazette editor, Kelcie Pegher, who now works at the Los Angeles Times, wrote on Twitter: "I worked Saturdays with Gerald. He would send terse missives if you messed up AP Style (I did), and kept a small library on a shelf above his desk with books categorized by the Dewey decimal system." John McNamara with his wife, Andrea Chamblee. John McNamara, 56, was a sports reporter at the Capital Gazette. Early in his career, he had been a copy editor at the paper, but had left to pursue what he described as his dream job: sports reporting. He first worked as a sports writer for the Prince George Journal, the Capital's competitor, but the newspaper soon hired him back and gave him his dream. He worked at the Capital for nearly 24 years, according to the Baltimore Sun. "He was a loyal friend with an infectious laugh, and he was a willing mentor for young journalists," said Jeff Barker, a Baltimore Sun reporter, who covered University of Maryland sports at the same time as McNamara. McNamara graduated from the University of Maryland and wrote two books about his alma mater's sports teams. His first book, The University of Maryland Football Vault: The History of the Terrapins, followed Maryland football from 1892 through the 2008 season. Cole Classics! Maryland Basketball's Leading Men and Moments was about local basketball. Barker said he was working on a third book about great basketball players raised in the Washington area. He married his college sweetheart, Andrea Chamblee, who he met at a bar after covering a football game. She told the Baltimore Sun that they were devoted to each other.